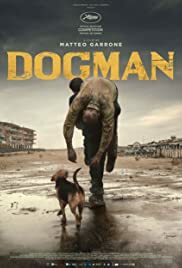 Director Matteo Garrone’s (GOMORRA) latest film DOGMAN begins with an angry dog growling his teeth in closeup, a very appropriate beginning of a very angry film that tells a tale of vengeance by a mild-mannered DOGMAN pushed to the limit. The dogman is Marcello who owns a dog care shop. He knows and loves his dogs, just as he loves his daughter who he occasionally sees. The film does not delve into his family affairs and the audience assumes Marcello is separated from his wife. He snorts coke and hangs around a big hulk and uncontrollable bully, Simone. 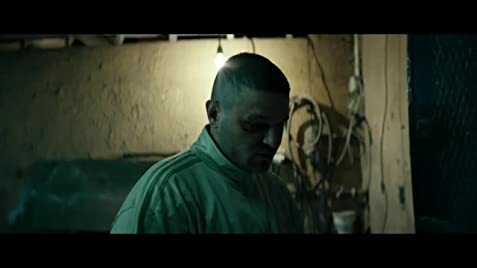 The neighbourhood wants to bring Simone down as he is nothing but trouble but ends up leaving him alone When Simone fucks Marcello up in a series of events, Marcello eventually gives the bully in comeuppance, Garrone’s film is attain a difficult watch. He is a good storyteller that connects the audience to his characters. He even makes the bully sympathetic, loving his helpless mother and not being too bright.